i love this site i have ordered a few items from them and i love it and fs is the only site i will order from i use to go threw mid way usa but since i found this site i left them a long time ago because fs site and shipping is a lot cheeper and a lot better service thanks fs s..
Super nice customer service! I was given a Lee Progressive Reloader but it needed some parts. After tons of internet searching - I found FS Reloading had everything I needed (AND IN STOCK). 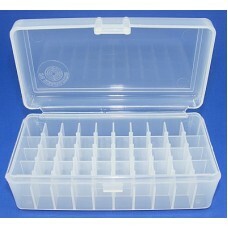 I spoke to Mark 3 times during the morning of my order - he was very patient with all..
One day while talking about expanding the ammo storage products on our site, a staff member asked, “Why doesn't anyone make translucent red ammo boxes to match Lee Precision equipment?” After more discussion and lamenting the lack of red plastic ammo boxes on the market, someone asked, “Why don't we make them?” That sounded like a right good idea to me and so began our adventure in manufacturing our own, FS Reloading branded products. 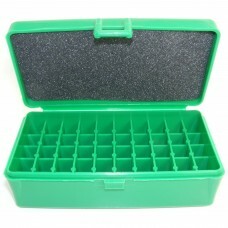 After seeing the fantastic reception you gave our FS Reloading Red Plastic Ammo Boxes, we began thinking, if we can make boxes to match Lee Precision Red, why not make boxes to match RCBS Green? 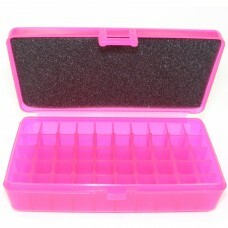 Then someone said, “My wife loves pink and purple, lets make some pink and purple boxes for the girls.” Another fellow suggested, “I really hate plastic stuff that fades in the sun. 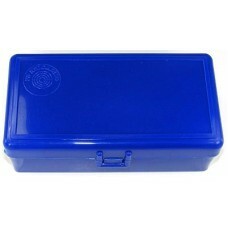 Can we make some boxes that won't fade when I take them to the shooting range?” And so we did—and more. We now offer small pistol, medium pistol, large pistol, automatic pistol, small rifle, medium rifle and large rifle. 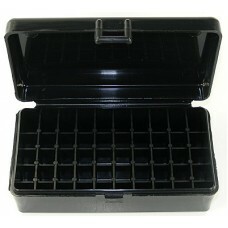 FS Reloading branded plastic ammo boxes come in over a dozen different colors. 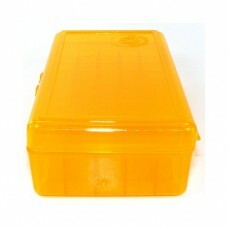 We even have some solid colored boxes that are UV stabilized to resist fading when exposed to direct sun light. 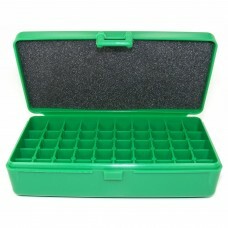 (In the image above right are a few of the sizes and colors of FS Reloading branded plastic ammo boxes in our warehouse ready to ship.) And that was just the beginning. 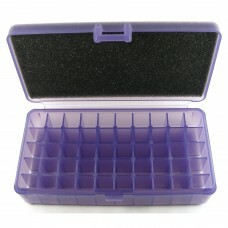 These are exciting times at FS Reloading. Our staff has really put their thinking caps on to come up with products they wish somebody would make. We are doing our best to make their wishes come true. I'm sure you will love using these products as much as we have loved creating them. 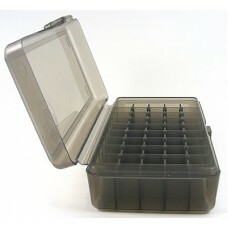 Follow the links below to see the FS Reloading brand products currently available for delivery. Thanks for your support, we truly appreciate your business. And as always, please don't hesitate to contact us by phone or email to let us know how we can better serve your needs. 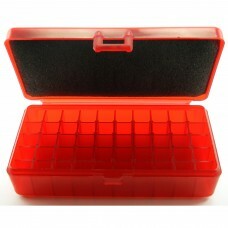 These FS Reloading brand ammo boxes store 50 rounds of .38 Casull, 45 ACP, 10mm and similar sized pi.. 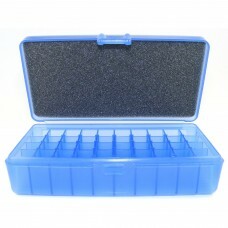 These FS Reloading brand ammo boxes store 50 rounds of .38 Casull, 45 ACP, 10mm and simila..
FS Reloading brand plastic storage boxes are custom molded with 50 compartments that are .47" square.. 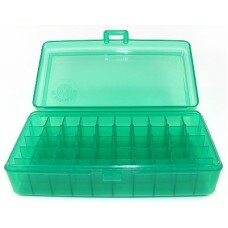 This FS Reloading brand plastic ammo box stores 50 rounds of .357 Magnum, .44 Special, .45 Long Colt..